In high school, I started writing short stories just for fun and sharing them with my English class. Like most adolescent writing, they were tortured and dark—very different from my outer persona. But I loved the experience of creating with words the exact feeling, image or moment I intended and watching those words resonate with others. That is powerful. It made me want to be an author. Still, I never seriously considered writing as a career. Instead, I became a forensic psychologist. For almost seven years, I spent countless hours writing psychological evaluations—analytical, logical stories explaining how a person came to be who they are. I always knew I would write creatively again, but I worried I wouldn’t have the energy or time. Then, in March 2014, that little spark caught fire, and I decided to seize the day. At first, my writing was painfully slow (think one sentence per hour) but then it was faster, and faster, and faster. I found myself waking up early to write, brainstorming at 3 a.m., and quickly filling the pages. In about six weeks, Legacy was born. Though Legacy was completed in six weeks, the other books were a little slower. I finished the entire Legacy series (Prophecy, Revelation, and the prequel, AWOL) in about a year and a half. My work as a psychologist inspired the Legacy series. I have had the opportunity to work with a wide variety of patients, including violent criminals, sexual offenders, and victims of severe trauma. Through it all, there is one commonality. Everybody has secrets; everybody has a past. Some struggle to get over it; some learn from it; some are changed by it; some are haunted. What do we do with our pasts? And can we overcome them? Those questions fueled the theme behind Legacy. And in general, my day job informs everything I write, especially the characters I create. I don’t have a standard writing process or a schedule. Mostly, I squeeze in time to write whenever I can, and I try my best to write every day…even if it’s just one sentence. One of your most important jobs as a writer is to take time to live. Without experiencing the world, how will you ever write about it? I’m fortunate to have a day job that allows me the flexibility to write and to work from home on most days. No matter what work obligations I have, I make time for exercise, friends and family, and fun every day. After that, there’s usually at least a few hours left over to write. I create multi-faceted stories that include action, romance, and humor, and I use short, snappy chapters to keep the pages turning. But, ultimately, I believe it’s the characters people remember. It’s the characters who keep readers coming back and wanting more, so I do my best to develop well-rounded humans, who are, at times, both hero and villain. Before I wrote Legacy, I never realized just how many dystopian novels were out there. With so much competition, it can be hard to stand out from the pack and be considered “original.” And, as a perfectionist, it’s always been a challenge for me to receive critical feedback. I’m still working on developing my thick skin! So far, I’ve written three full length novels—Legacy, Prophecy, and Revelation—for the Legacy series. And I recently published a prequel novella to the series entitled, AWOL, that just might be my favorite. My favorite character in Legacy is Quin McAllister. Even though Lex is the heroine of the story and we see the world through her eyes, Quin and his transformation embody the inspiration of the book: learning to accept your past without allowing it to define you. Plus, he is the perfectly irresistible combination of handsome and mysterious. I have a desk for all my professional writing, but I don’t do any creative writing there. I have a few creative writing spaces, because sometimes I need a change of scenery. Most of the Legacy series was written, sitting at the bar in my kitchen with a furry companion at my side. But, I also love to write in a local diner. Impatience. I considered seeking a traditional publisher, but I knew it could take a while…and I didn’t want to wait. So, I decided to self-publish. My family has always been incredibly supportive of my writing. They are my biggest fans! Funny, but my dad has never been a reader…and he actually hasn’t read any of my books. That doesn’t stop him from telling anybody and everybody his daughter is an author! 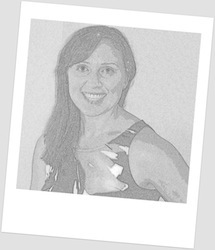 A fitness fanatic, I teach boot camp and kickboxing, and I love to see movies the old fashioned way…in the theater with popcorn and Milk Duds. I also love reading…of course! Observe the world around you- take notice of the things that others overlook; eavesdrop on conversations; read voraciously; write something every day (I wrote in a journal almost every day from fifth grade through college); and the scariest part- share your work with others, accept criticism, and develop a thick skin. What a cruel, cruel question! Who could name just one? My most recent favorite is the thriller, You, by Caroline Kepnes. She inhabits the mind of a psychopathic stalker in a way that would make any forensic psychologist proud. Since I was a little girl reading Nancy Drew mysteries, I have been an avid reader with versatile tastes. I enjoy lyrical and literary writers like Toni Morrison and Joyce Carol Oates, and I am a huge fan of Mary Oliver’s poetry. On the flip side, I revel in an edge-of-your seat page-turner like those by Stephen King, James Patterson and Sue Grafton. And of course, what list would be complete without J.K. Rowling? Early on in my writing career—before I even considered that I could write a novel—my most ardent supporter was my mother. She was an English teacher and a writer herself, and she was the first person I ever shared my writing with. As a teenager, my first stories were a little morbid, but she never flinched. She always believed in my potential no matter what I set my mind to, and although she is no longer with me, her belief was instrumental in allowing me to unabashedly pursue all of my goals. Now, I’m fortunate to have a special someone who has read all of my books almost as many times as I have. 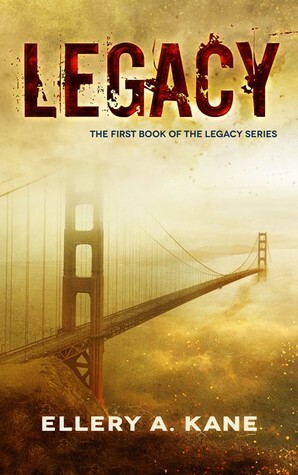 And, I have developed connections with several young adult bloggers who have been instrumental in getting the word out about the Legacy series. Now that the Legacy series is complete, I am working on a thriller tentatively titled, Daddy Darkest. The Pyramids in Egypt. I’m not sure I would write about it, but it would be amazing to see! Thanks so much for stopping by today, Ellery. It's been great having you with us! I'm always looking for a great dystopian to add to my reading list!